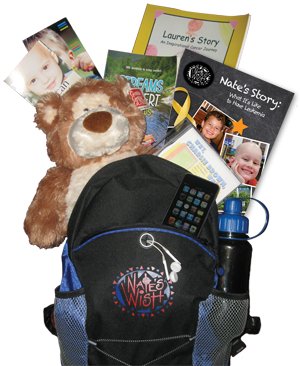 Created to offer encouragement and distraction to children newly diagnosed with cancer, Nate’s Wish Packs include “Nate’s Story: What It’s Like To Have Leukemia” along with other helpful reading materials and gifts to help get through difficult treatment days. To download a pdf of the book (screen resolution only), click the Wish Book link in the top menu. 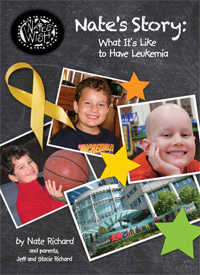 To view the book for web, click on “Nate’s Story Book” to the right. 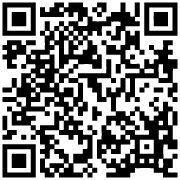 If you would like to view it on your mobile phone, you may scan the QR code to the right.